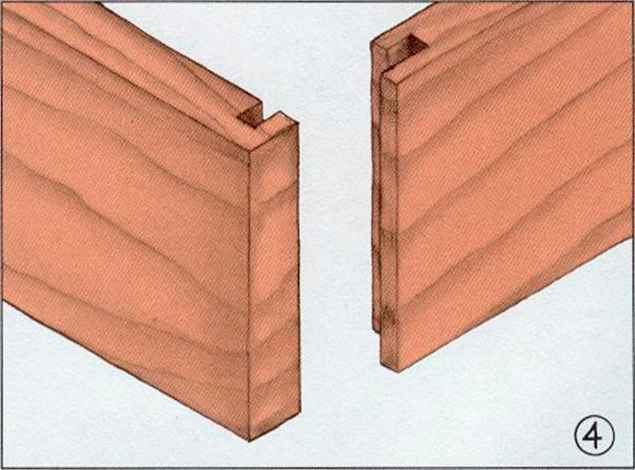 For angled paring, you'll need to change your grip for comfort as you move to different parts of the workpiece. Initially, position your rear hand as you would for horizontal paring. Put your for ward hand in an overhand grip. To control the cut, press down on the chisel with your forward hand. 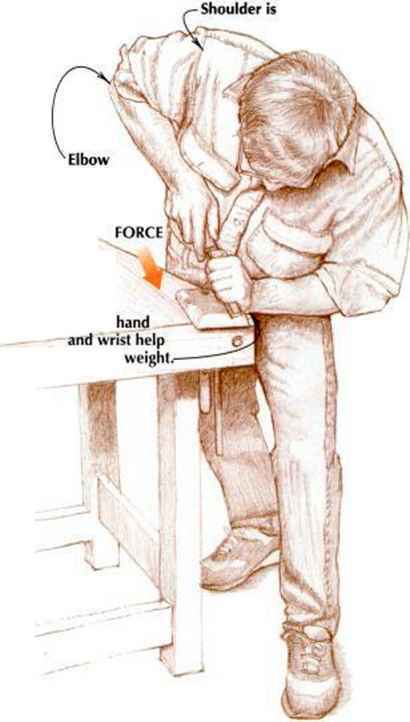 The ball, wrist, or elbow of your hand supports your weight and controls the chisel's motion. Increase your leverage by keeping your rear hand and forearm close to your side. Hold chisel handle like a knife handle. grip; wrap fingers around chisel. Ball of support is locked, up and back.